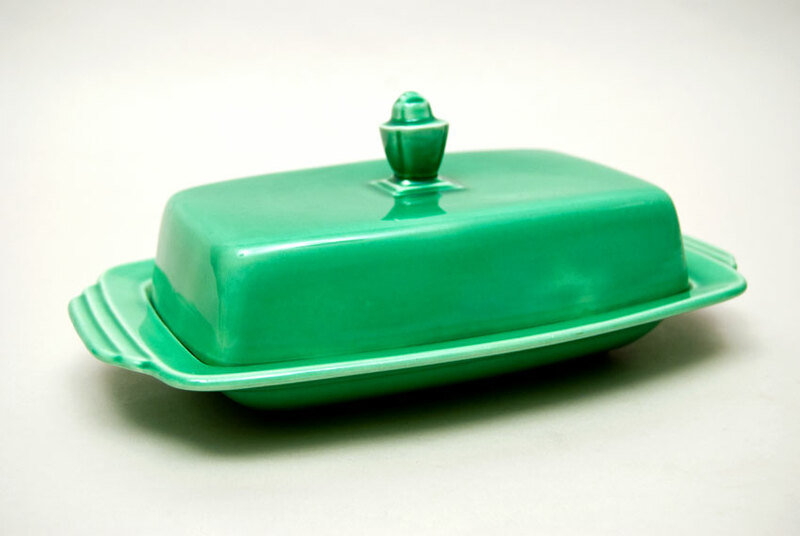 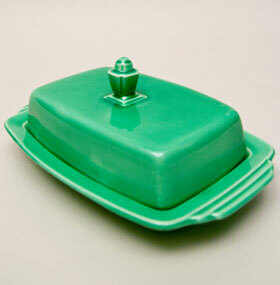 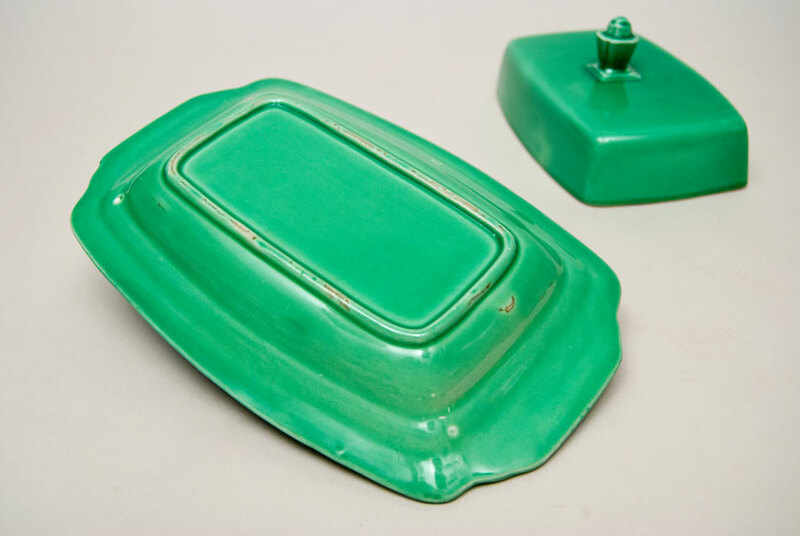 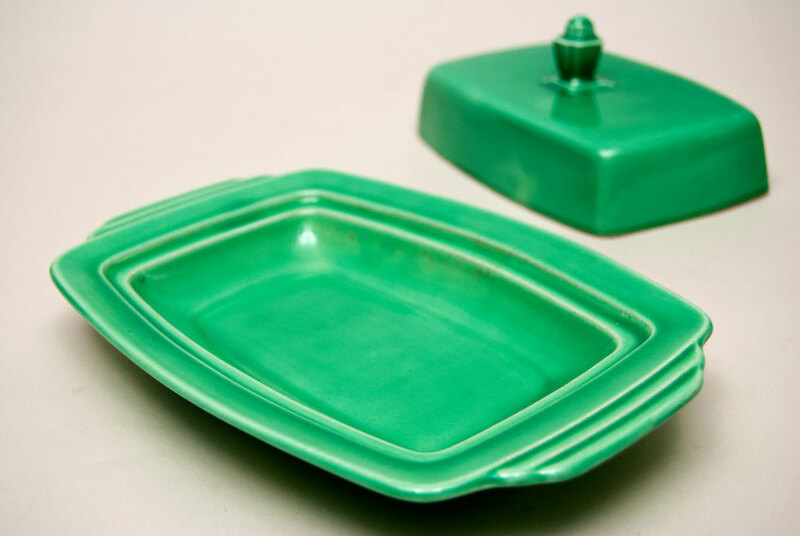 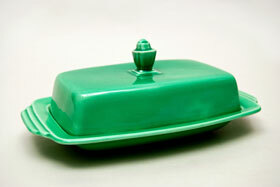 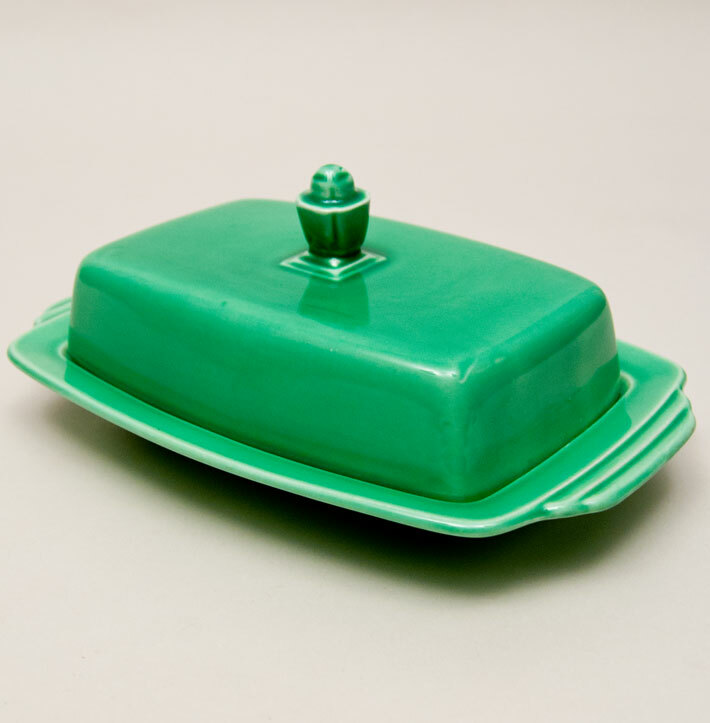 Circa 1942-19459: Collectors lament that there was never a vintage Fiesta butter dish for the line, but the adventurous can rejoice in the butter borrowed from Homer Laughlins Jade line. Dipped in the Harlequin colors the large butter transformed intself into a delightful play of deco angles and details. 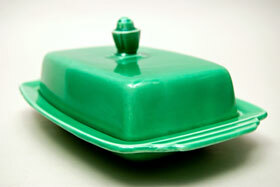 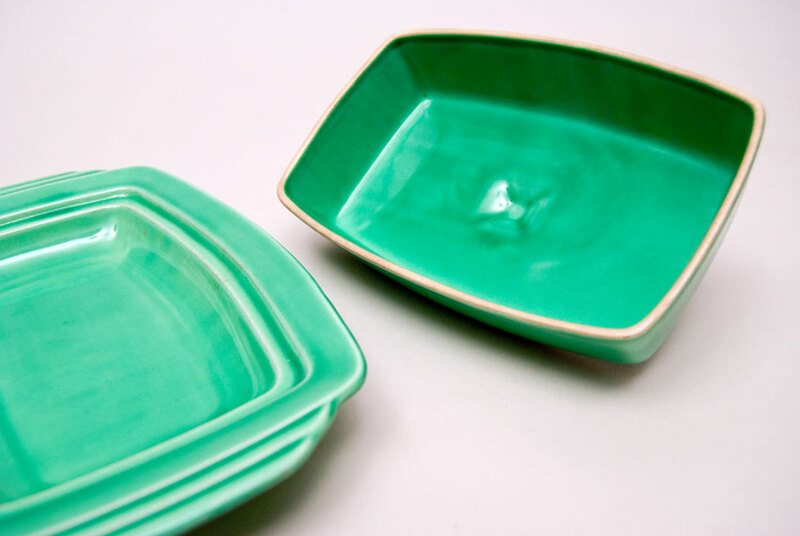 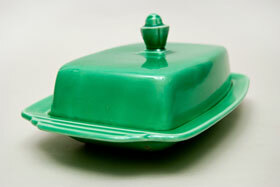 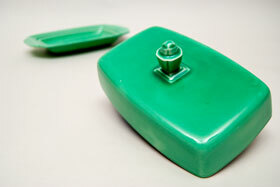 Not common in any color, it is the Original Green glaze that will elude collectors. 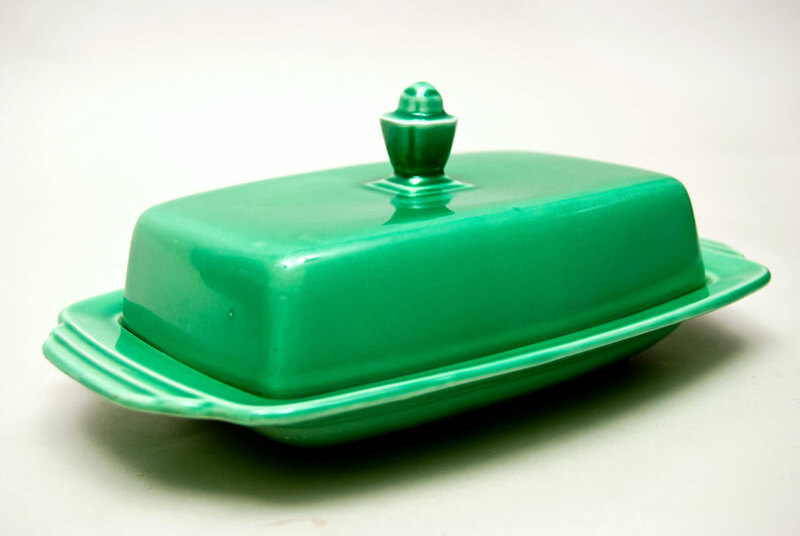 This example is in excellent condition without signs of use or damage. Very nice glaze for the pesky, temperamental green, without issues. 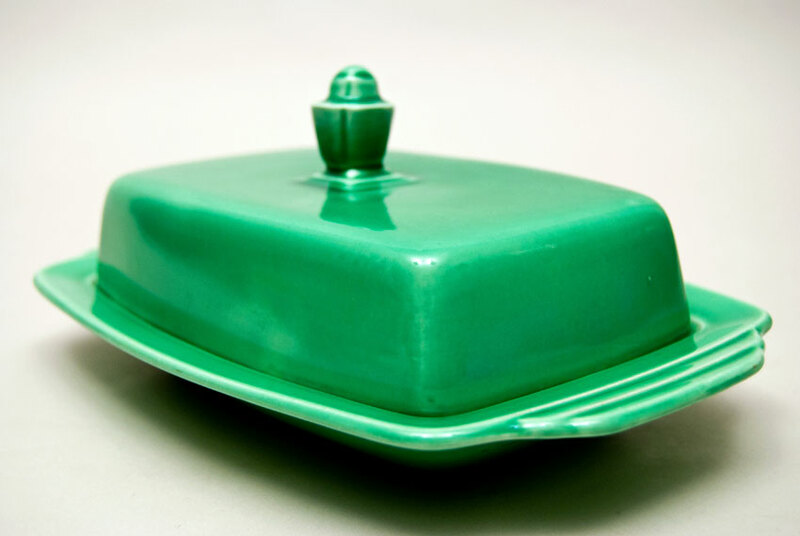 This lighter weight, delicate pottery from the the WWII era has survived without damage or use and is very hard to find in the original green, in this piece and this condition. Unmarked, as all Harlequin pieces were. 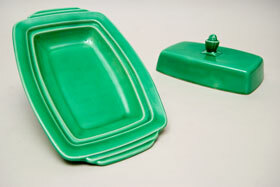 Measures an impressive 9 1/8" long x 5 3/4" across and 3 3/4" tall.